"4-H teaches science and life skills at school, home and on the Web." The benefit of partnering with MU Extension for your Embryology program, is that you also have the resources of many other Land-grant Universities as well. Below are various resources from a number of other universities that you may find useful. Resources for lesson plans, experiments, etc. 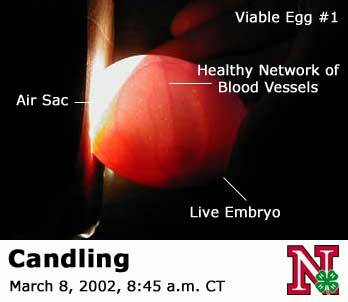 4-H Embryology: A School Enrichment Program, University of Nebraska–Lincoln Extension in Lancaster County – Eggcellent Site!! This site has a wealth of resources, including a LIVE “4-H Egg-cam” where your students can watch the happenings of UNL’s incubator in real-time. 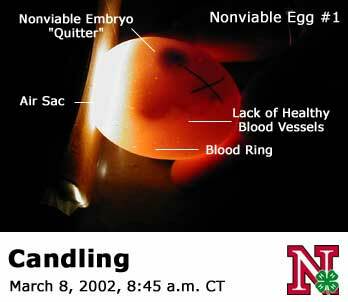 Viable Egg (Embryo is Alive). Embryology in the Classroom-A Closer Look (PDF). 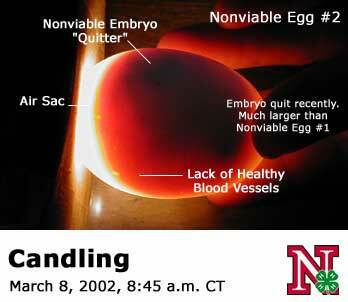 Great pictures of embryonic development, great information for older students. Would you like to offer the 4-H School Enrichment Program Hatching Chicks in the Classroom to your students? For more information please contact Cathy Galland, gallandcs@missouri.edu 573-369-2394.